Patrick Schmidt from California is truly living the dream, and he found a truly creative way to do so. He wanted to live a life full of travelling and adventure, but unlike most of us who wait for the yearly break, he went ahead and started on an outrageous project. 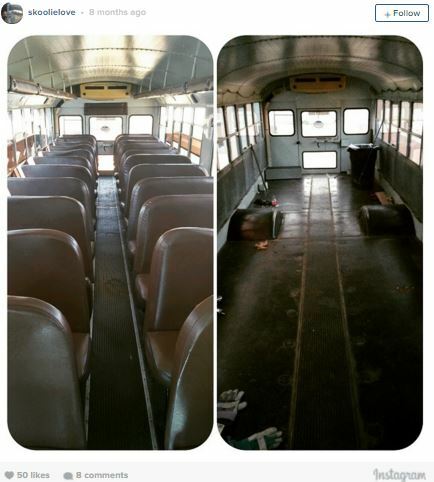 Patrick, along with his father, started to work on a school bus from the 1990s to convert it into an on the go home. 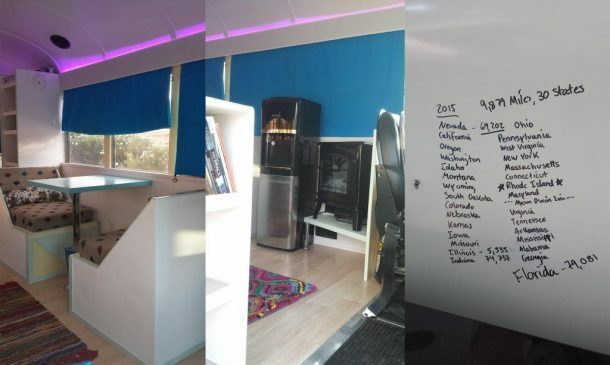 Schmidt, also known by a pseudonym Skoliolove, bought the “Big Blue”, which was a church bus, for 4,500 USD in March, and took just three months to convert it into “tiny dream home on wheels”. 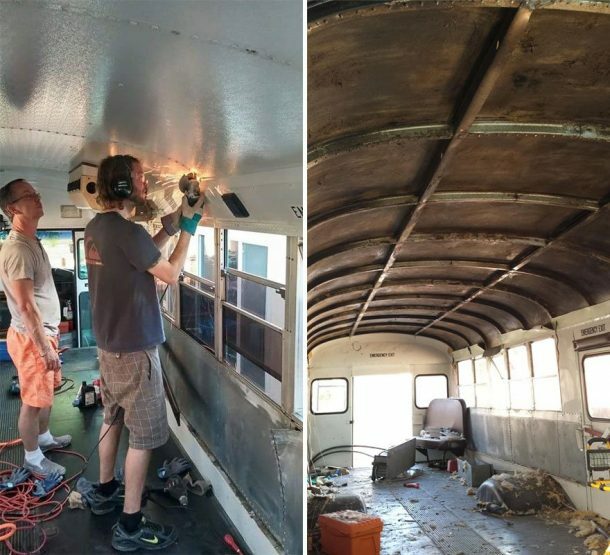 Using supplies from mainly Home Depot and Amazon, the father and son duo worked day and night in Vegas to transform this hunk of a junk into a cozy motorized home in around 9,000 USD. 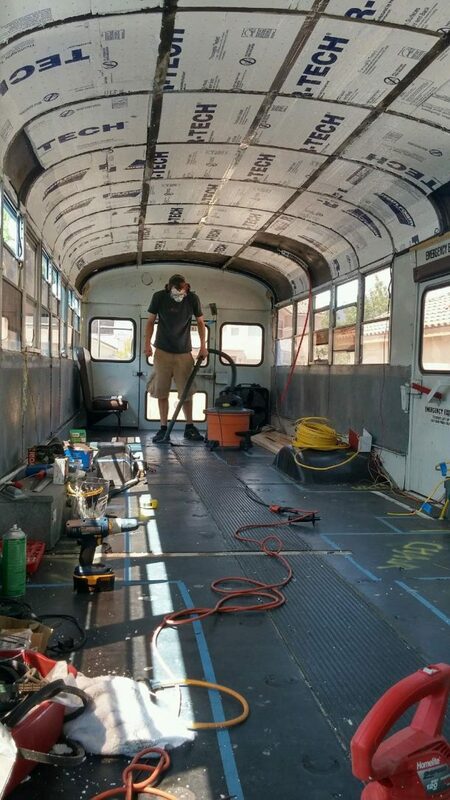 The bus is laden with solar panels, converters, inverters and batteries, giving an uninterrupted supply of power. Shmidt also claims that due to this decision, he is also living a healthier and more responsible lifestyle. “I listened to more music, and wrote more than ever in my life. I went wine tasting in the hills of Santa Barbara, hiked in the Rocky Mountains, met friends in Boston and ate home-made pizza and drank local beer, jammed out to Tom Petty at the Niagara Falls with my best friend. It’s the lifestyle that I want to live. 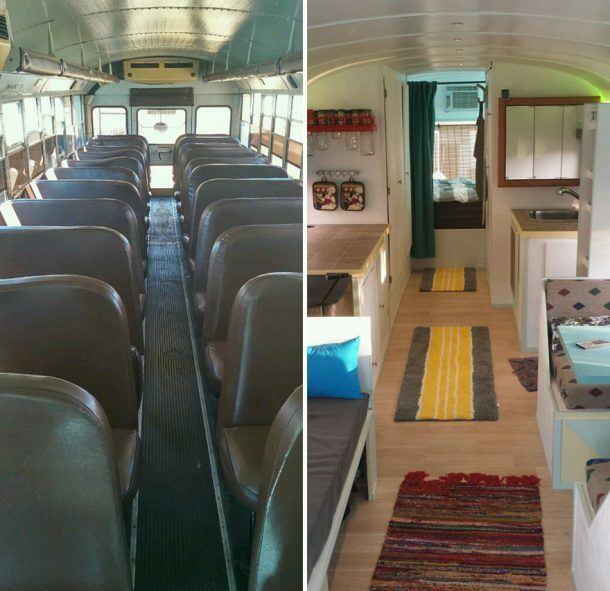 I want to live fully on a bus, and make that my life. The road trip that I just took is over, now its on to living in a bus while parked. 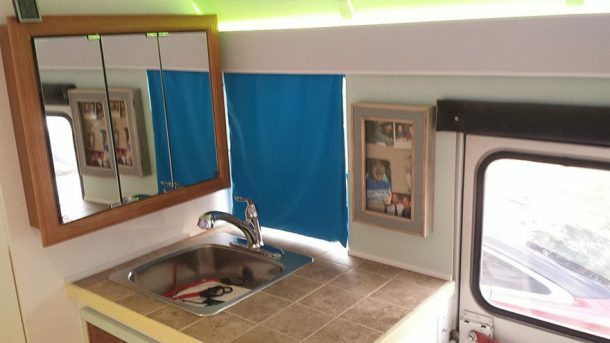 Figuring out how to make money, and function in society while living in a small space. Skoliolove writes on his site. This success story is surely enough to stir the envy of all those travel fanatics out there. 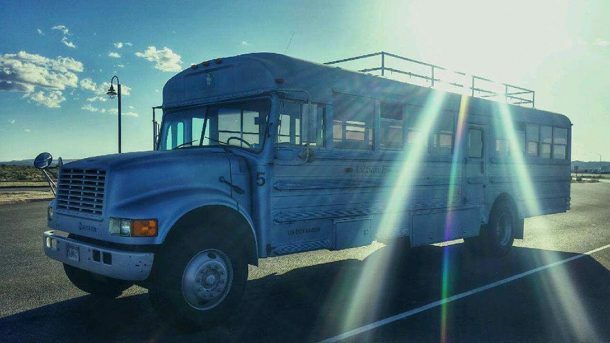 We wish Skooliolove and his Big Blue to live and enjoy more exciting journeys and exotic adventures.